Café Silo is located in the Russian merchants’ quarter near the ferry pier. The café offers delicacies baked on site, special coffees and soup of the day. The small terrace in front of the café is the perfect place for admiring life at the fortress. 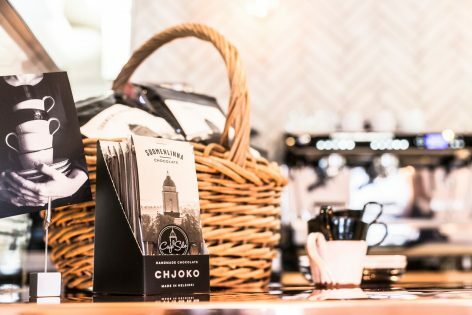 Silo also sells Suomenlinna’s own coffee roast and chocolate! The café is open throughout the year. In the winter, the opening hours are from Tuesday to Sunday. In the summer (starting on 1 June), Silo is open every day. Check the day’s opening hours from the calendar. Accessibility: The entrance is not fully accessible as it has some steps. More information: Café Silo Facebook and Café Silo web page.